MADRID, May 21, 2011 (AFP) - Portuguese star Cristiano Ronaldo broke the La Liga goal-scoring record with his 39th and 40th league goals of the season as Real Madrid hammered relegated Almeria 8-1 at the Santiago Bernabeu on Saturday. Ronaldo poked home from close range on four minutes for his record-breaking goal to overtake the previous best of 38 set by Athletic Bilbao's Telmo Zarra in 1951 and equalled by Real Madrid's Mexican legend Hugo Sanchez in 1990. Ronaldo struck again on 77 minutes with a brilliant run and finish to make it 40 league goals for the season and seal his first 'Pichichi' award for the league's top-scorer. It caps a fantastic season from the Portuguese sensation although he has just the Kings Cup trophy to show for his two seasons at Madrid. 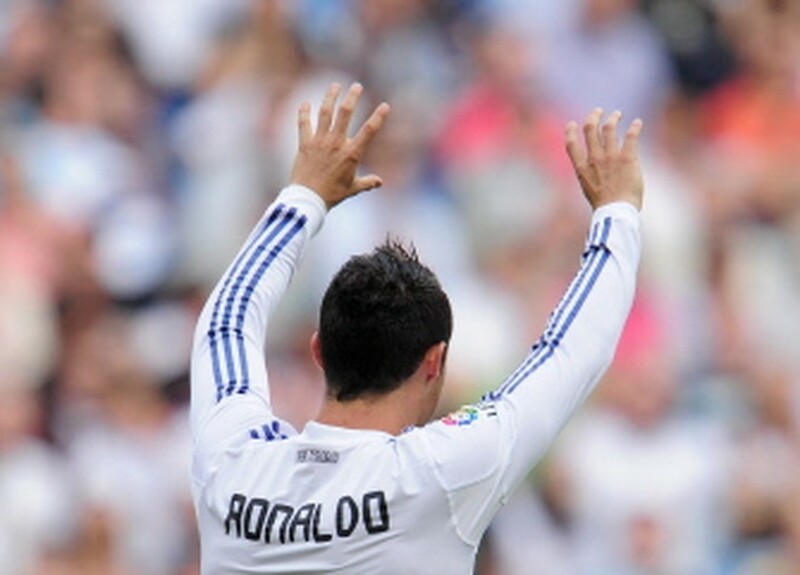 "I would like to thank my team-mates for helping me get these 40 goals," said Ronaldo. "The Pichichi award is for them and the fans. "The season didn't go as we wanted but the coach wanted a lot of goals from us to start the next campaign full of hope. "Scoring 102 goals in a season is difficult and although it is possible to repeat it will be very difficult." Togo striker Emmanuel Adebayor, trying to persuade Real to make his loan move from Manchester City permanent, grabbed his first ever Madrid hat-trick and Frenchman Karim Benzema scored a brace as Real crushed hapless Almeria and went past a century of league goals this season. Champions Barcelona ended their stellar league campaign with a 3-1 win at Malaga in a timely warm-up for next week's Champions League final against Manchester United. With the league already wrapped up, Barcelona have their eyes firmly on the Wembley date against Manchester United, and coach Pep Guardiola rested his array of Spanish World Cup stars and Ballon D'Or winner Lionel Messi. "We are focused on the final and we have everyone available including (Gaby) Milito who will be back," said Guardiola. "We will see what Manchester United do and we will work on getting mentally right to try and stop them." Malaga took a 31st-minute lead but Barcelona's collection of youngsters and fringe players came back with a 43rd minute Bojan Krkic penalty equalising before Dutchman Ibrahim Afellay (75) and 20-year-old Marc Bartra (84) scored their first league goals for Barca, who have taken three straight league titles. In other matches, fallen giants Deportivo La Coruna were relegated from the Spanish top-flight following a 2-0 home loss against Valencia on Saturday. Zaragoza were third from bottom heading into the final round of games but their 2-1 win at Levante on Saturday lifted them to safety and Depor joined Almeria and Hercules in being relegated.